The Eisteddfod is also a literary event, and a traditional moment for book launches. You might be surprised by the sheer size and vigour of the Welsh-language publishing industry. 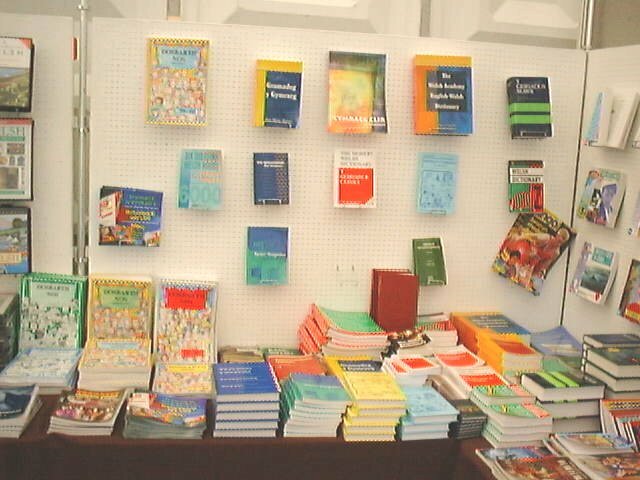 The Welsh Books Council act as sponsors and promoters of publishing in Wales, and their tent displays huge numbers of books, magazines and language-learning materials for schools and adult learners. In the display above the sharp-eyed reader may spot several publications reviewed in the pages of Gwybodiadur.